Every week, I look forward to the Fit Dish Link-up and the optional topic. I love that they make me think and I love that! I also look forward to seeing what other bloggers share. This week’s [optional] topic is how I move, nourish, and believe. On the surface, I could answer this in a quick minute. Believe: Doubts…ain’t nobody got time for them! But then I really started thinking about my goals and how these words fit into those and added a bit more. Move: Sure running and PiYo (slowly but surely) are a part of my weekly routine. I’m also trying really hard to be more active and work towards 10,000 steps a day. I hit my target on days I run more than a mile. Days I run just a mile? I’m between 6,000-8,000 (including the mile). I need to find ways to add in some extra steps. Nourish: This isn’t just about food! It’s about nourishing my mind too. I’ve started picking up my puzzle books. You know the ones that are at the grocery store? I love them! I’m a puzzle junkie. My favorites are the logic puzzles followed by the Brick by Brick crosswords. I really have noticed I was starting to forget things. (Thanks turning 40!). I decided that I need to spend just as much time “nourishing” my knowledge as well as my body. As far as food, my goal is to watch my portions this week. I’m a bit out of control. I think because I’m training for a marathon that gives me free range, it’s not. I’ve got to reel it in just a bit. Believe: I had a moment of complete taper craziness. Cara was the recipient of a string of text messages where I seriously freaked out about our upcoming marathon. The minute I let it all out, I instantly felt better. The panic was getting to me. Thank goodness, she talked me off the ledge! I had to be remind myself why I decided to run another marathon. Because I wanted to run one. Because I can run one. Because it’ll be fun! Because why not?! 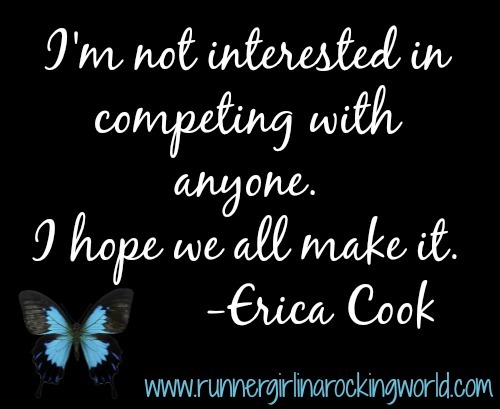 Because we decided as a group to all run the same marathon! What does Move, Nourish, Believe mean to you? Find out what it means to other bloggers at the Fit Dish Linkup and become part of the #fitfam by heading over to Jill Conyers at JillConyers.com, & Jessica Joy at TheFitSwitch.org. Love that!!! Especially your believe. 🙂 You live it for sure!! Have a super day!! It’s true!! I felt a lot better after I got it out. It was eating at me. Great stuff Melanie. I love your perspective on nourish. Nourish the body mind and soul! Yes ma’am!! 🙂 All of it! Nice! I too need to get in more steps on the days I don’t run 😦 when I am at work if I get more than 3000 steps in before 5 pm means I have had a big day- uggg, what to do? Awesome topic. Your philosophy on nourish is spot on. Great post! Alright, I love your blogging voice. You are entertaining! : ) I love how you started simple, and then got more in depth. And I love, “Doubts…who has time for them? !” LOL, that’s such a great way to look at it. And, so happy you called your friend during the marathon taper minor freakout. Tapering is hard, my mentality gets all messed up, but sounds like you got it all figured out. Excited for your race, you are going to feel so amazing at that finish line. WOW! Thanks for linking up, I really loved this! Take care. “Ain’t nobody got time for that” is probably one of my favorite memes ever, hahaha. Yay for puzzles! 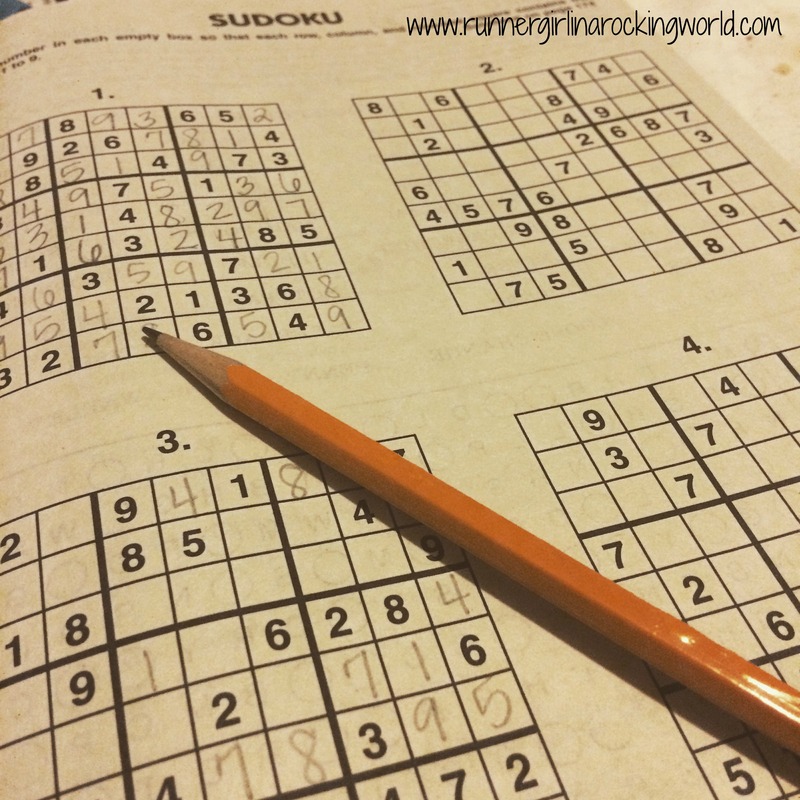 I’m actually really terrible at crosswords and sudoku, but they’re fun to do anyway! I’m with you on the portions! I’m still working on that! Do you follow the PIYO calendar? I am wanting to add in more PIYO.. this week I did 3 vids but am wanting to do more. Love it!